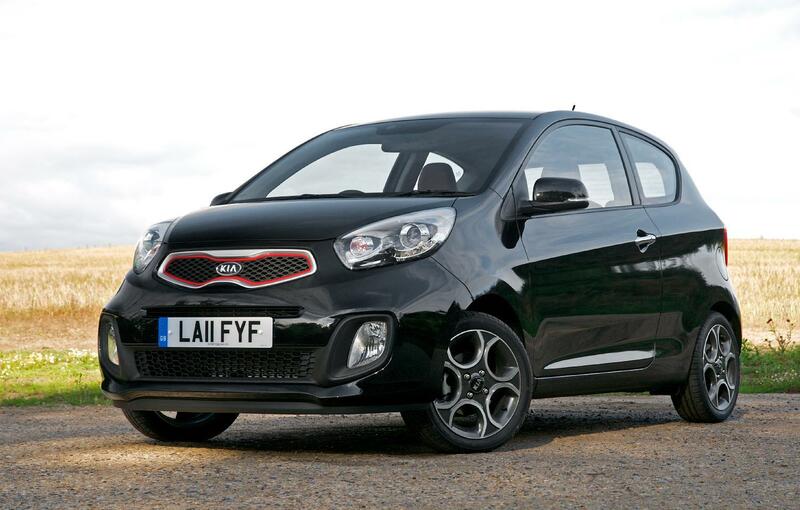 Kia has launched the sportier three-door Picanto, ahead of sales in September. 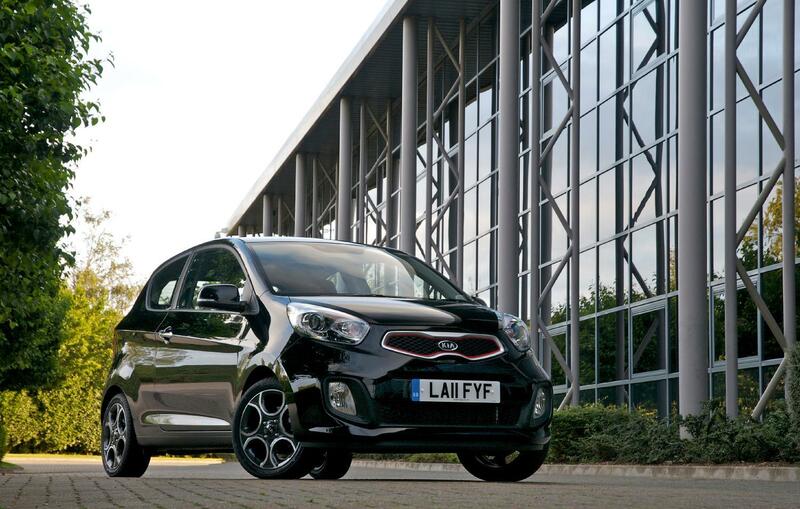 According to Kia, the “rear panels and glass aft of the A-pillar give the three door Picanto a fresh, dynamic appearance”, that will appeal to both young buyers and fashionistas alike. The base '1' grade comes equipped with 14” steel wheels, x6 airbags, internal door mirrors height adjustable driver' seat, tilt adjustable steering wheel, trip computer, CD player w/MP3 input, and 4 speakers. Lower mid-spec '1' Air adds air conditioning. 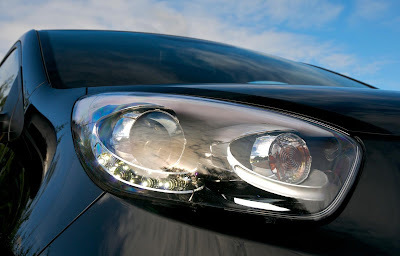 High mid-spec Halo features luxuries such as 14” alloy wheels, heated front seats and steering, Bluetooth w/audio controls, LED daytime running lights w/LED rear lights, USB port, body-coloured protection strips, alloy pedals, rear parking sensors, supervision cluster , and black/grey seating fabric w/white high-gloss interior accents. 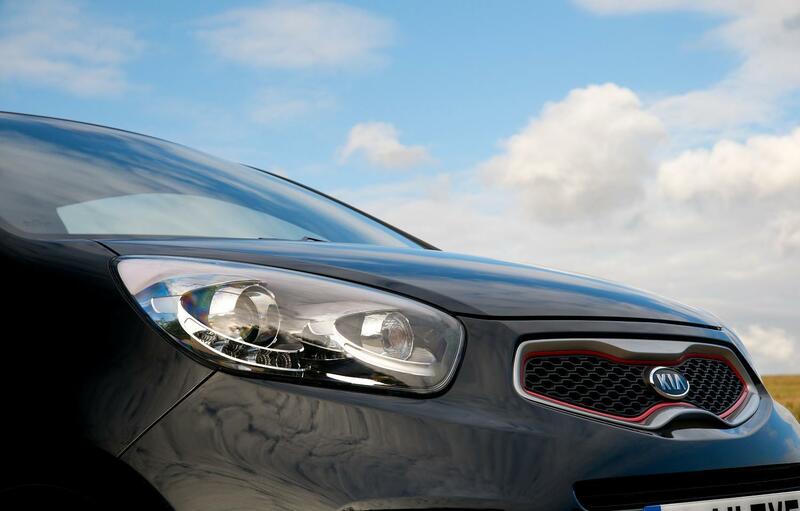 Range-topping Equinox comes plushly featured with 15” alloy wheels, automatic air-conditioning, and smart entry and start. 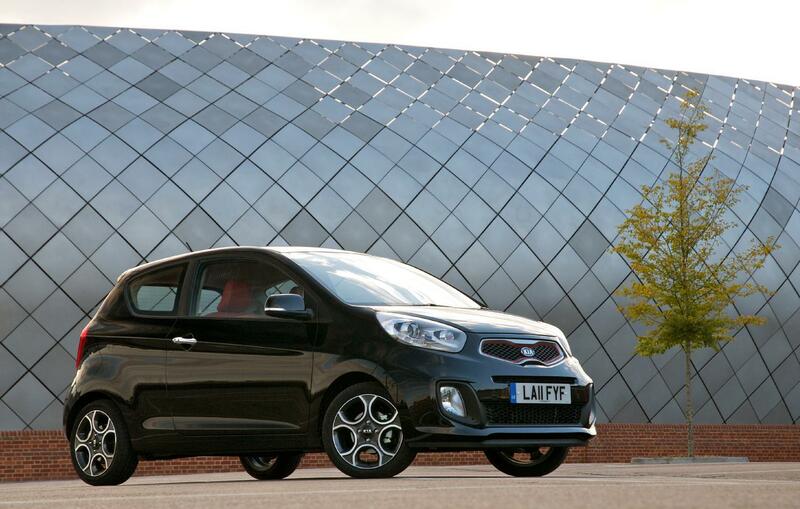 Kia believes British sales will split “55:45 in favour of five-door models”. 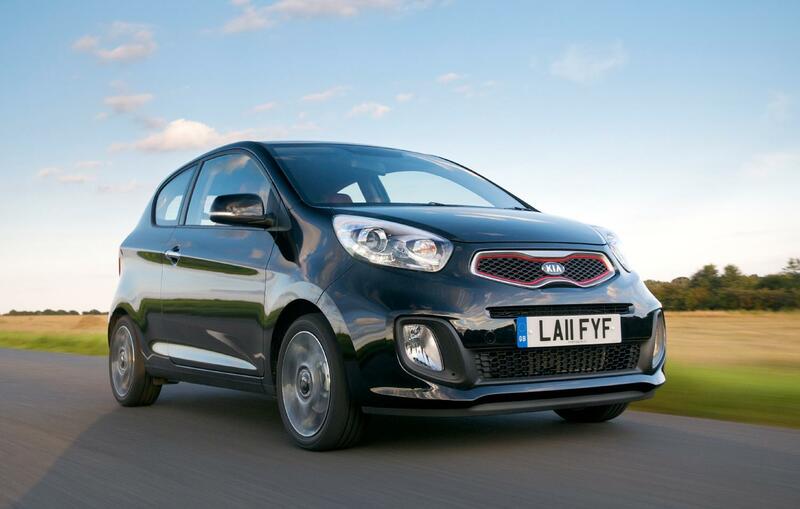 Following on from the recent launch of the all-new Picanto city car Kia is introducing a three-door version to the line-up for the first time since the model appeared in 2004. 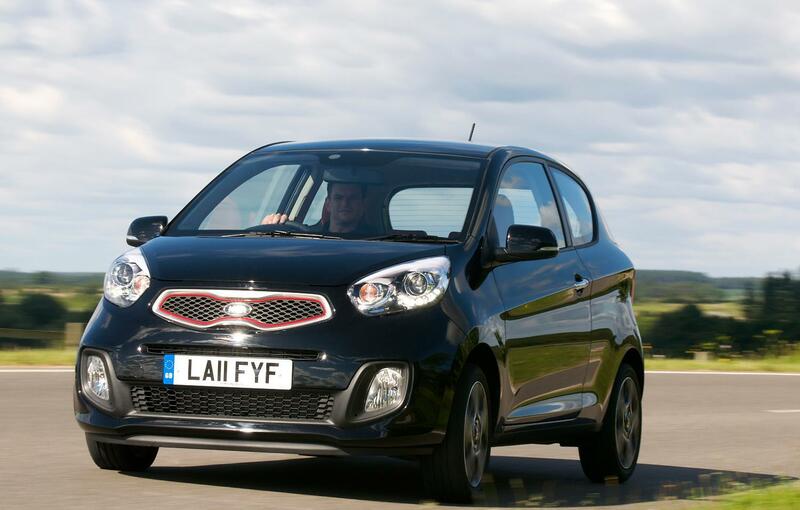 The distinctively styled three-door version, with a new range of trim levels, will go on sale in the UK from 1st September. 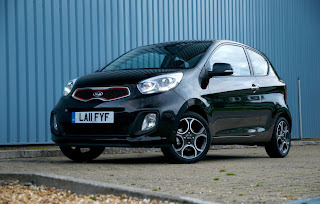 The three-door Picanto has a unique, sporty character while still managing to deliver the same, seemingly contradictory, upgrades as the more family-focused five-door: stronger performance with lower fuel consumption and CO2 emissions, the safety and luxury features of a large car without an outrageous price tag, and practicality within a compact package. If the five-door Picanto is ‘the small car, grown up’, then the three-door is the same but with a twinkle in its eye. City-car sales – referred to as the A-segment in Europe – are increasing all over the world as the costs of buying and owning cars gets more prohibitive and many people are downsizing. Globally, the market for Picanto-sized cars in 2014 will be around 2.4 million. By 2015 – well within the second-generation Picanto’s life cycle – that will have grown to 3.3 million. 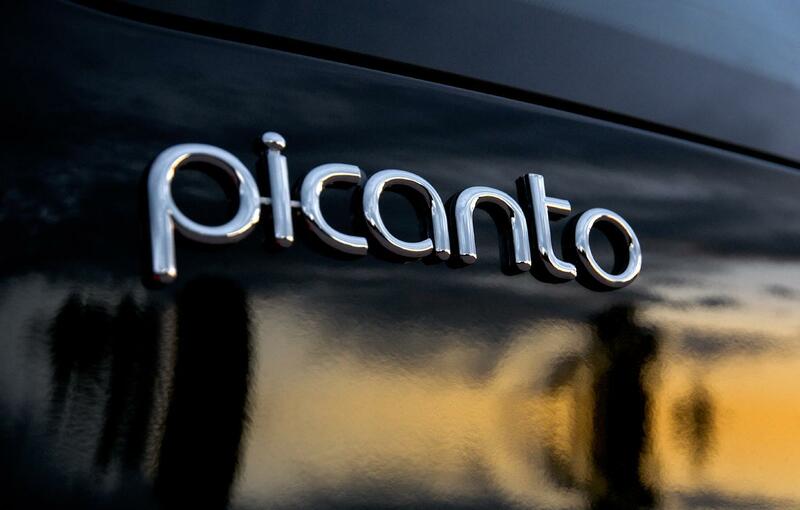 Around a million of these will be three-door cars. 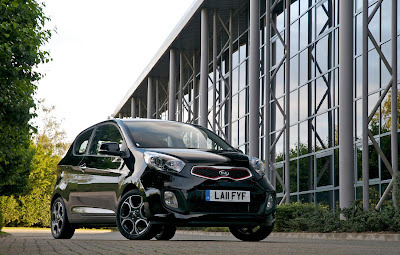 Without a three-door model, Kia would have nothing to offer 30% of buyers in one of the most dynamic sectors of the market. 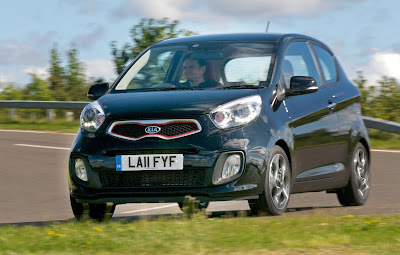 In the UK, the importance of the three-door car is even more pronounced: the sales split between body styles in the A-segment is a slender 55:45 in favour of five-door models. 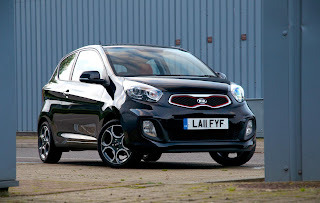 The dimensions of the three- and five-door Picanto are identical in order to ensure they enjoy the same levels of interior space and crash safety. 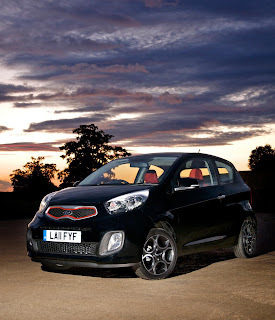 However, that simple statement does not do justice to the wealth of detailed work undertaken by Chief Design Officer Peter Schreyer and his creative teams to ensure the three-door has its own, unique character. 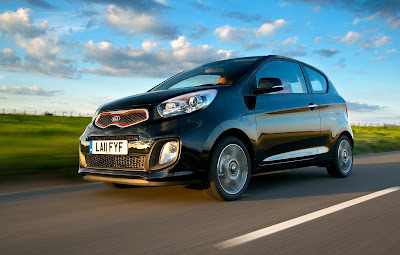 The changes are most obvious in profile, where new doors, rear panels and glass aft of the A-pillar give the three-door Picanto a fresh, dynamic appearance, accentuated by the rising belt line that slices through the door handle on each side, and the aerodynamically shaped side sill mouldings. Unique alloy wheels on the upper two trim versions are other distinguishing features of the three-door Picanto. At the front and rear the three-door Picanto reveals its own personality, too. The main grille opening is larger than that on the five-door and is available with silver or red trim surrounds. The front bumper has been re-profiled to make the car appear wider and lower. 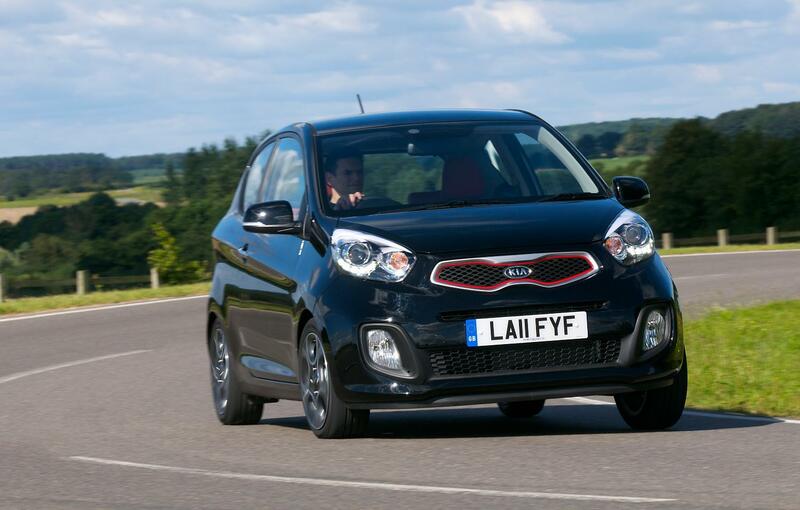 It contains a slim, full-width lower grille, housing large black-bezelled foglamps with the two upper trim grades. The rear bumper has a rectangular black central section in place of body colour, a relatively simple measure that makes the three-door Picanto instantly appear sportier. 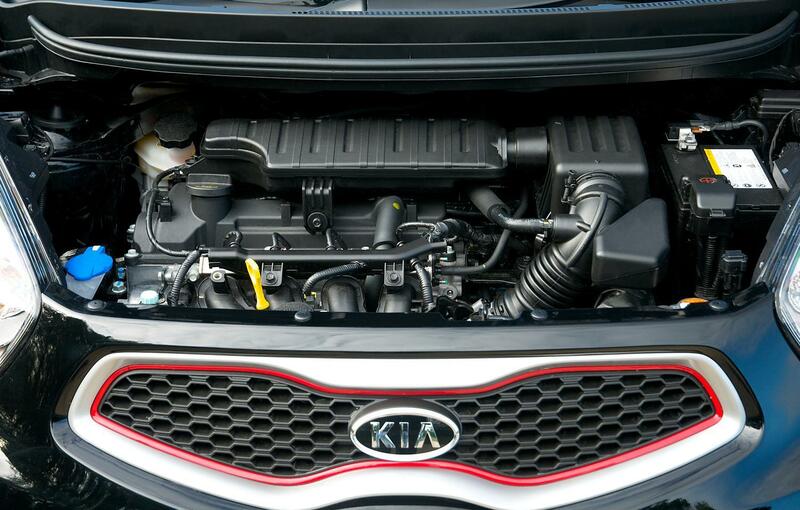 The finishing touch is created by exposed twin chromed exhaust outlets in place of the hidden single tailpipe of the five-door car. The three-door Picanto is a practical small car with five seats and a big boot within an overall length of less than 3.6 metres, just like the five-door. And while its primary role might not be as a family runabout, Kia has done everything to make access to the back easy for those occasions when owners might want to give a lift to friends or relatives. Sliding and tilting front seats provide a wide ‘walk-in’ to the split rear bench. The three-door Picanto has its own colour schemes and trim structure that reflect its role as the sportier model in the range. The entry-level model – badged Picanto 1 or, with air conditioning, Picanto 1 Air – comes with all-black upholstery. Above that, the models are called Halo and Equinox rather than 2 and 3. Halo has premium black and grey interior trim, while Equinox is finished in premium ‘Chilli’ red. 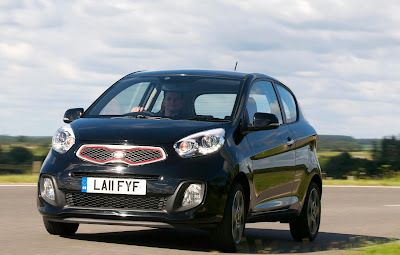 Depending on engine and trim combination, there is a choice of four exterior colours, and alloy wheels are standard on all but ‘1’ and ‘1 Air’ grade cars. 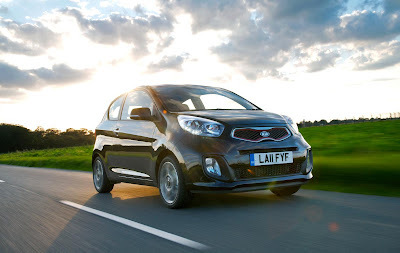 The three-door Picanto offers brand-new 1.0- and 1.25-litre Kappa-family petrol engines, which deliver fuel economy of up to 67.3mpg with CO2 emissions as low as 99g/km. The larger engine is available with Kia’s EcoDynamics fuel-saving technology – an Intelligent Stop & Go engine stop/start system – or, alternatively, with automatic transmission. 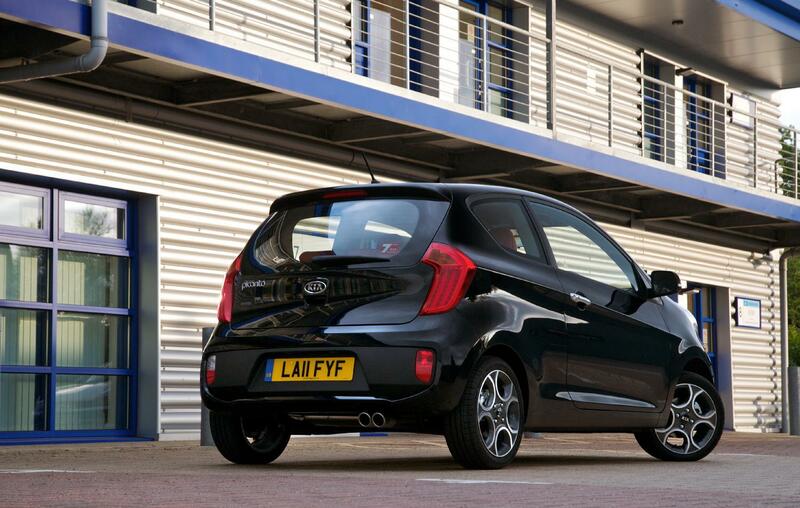 The three-cylinder 1.0-litre unit develops 68bhp and 95Nm of torque. 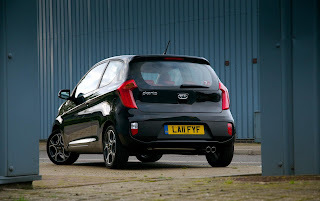 The 1.25-litre four-cylinder engine is offered in three guises, all developing 84bhp and 121Nm of torque. In standard form it averages 60.1mpg. 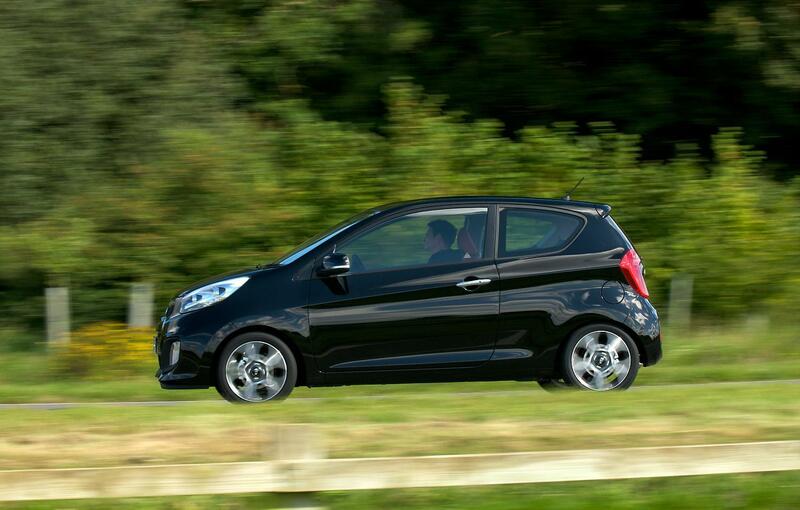 With a four-speed automatic transmission fuel consumption is an impressive 53.3mpg. 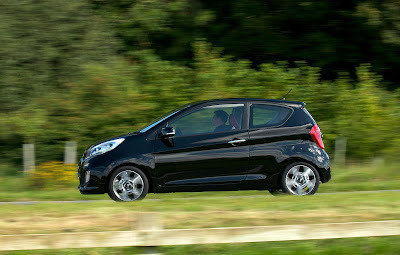 Finally, there is the EcoDynamics version with fuel consumption at 65.7mpg. The same new running gear developed for the five-door Picanto also appears on the three-door. 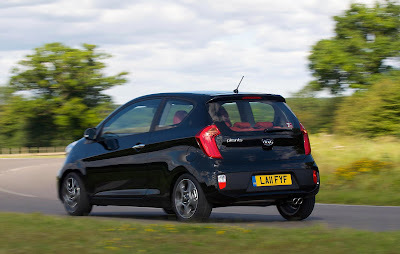 It features MacPherson struts at the front and a coupled torsion beam axle at the rear, a layout which gives the best combination of ride and handling while minimising intrusions into passenger and luggage space. 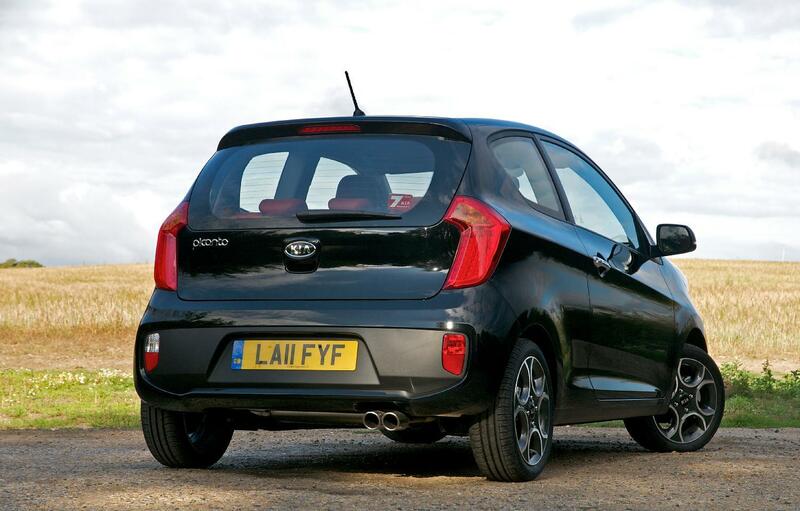 The new set-up ensures the Picanto is stable in a straight linear speed and supple over typical British bumps. A stiff rear axle aids agility while also contributing to the car’s impressive stability and comfort. Whilst the five-door Picanto follows Kia’s simple trim naming structure of ‘1’ for the entry model, ‘2’ for the mid-spec and ‘3’ for the top-of-the-range version a different approach has been taken with the three door. 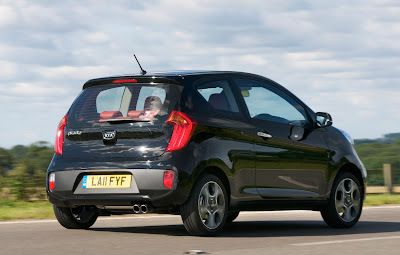 Picanto three-door is offered in four trim specifications: 1, 1 Air, Halo and Equinox. 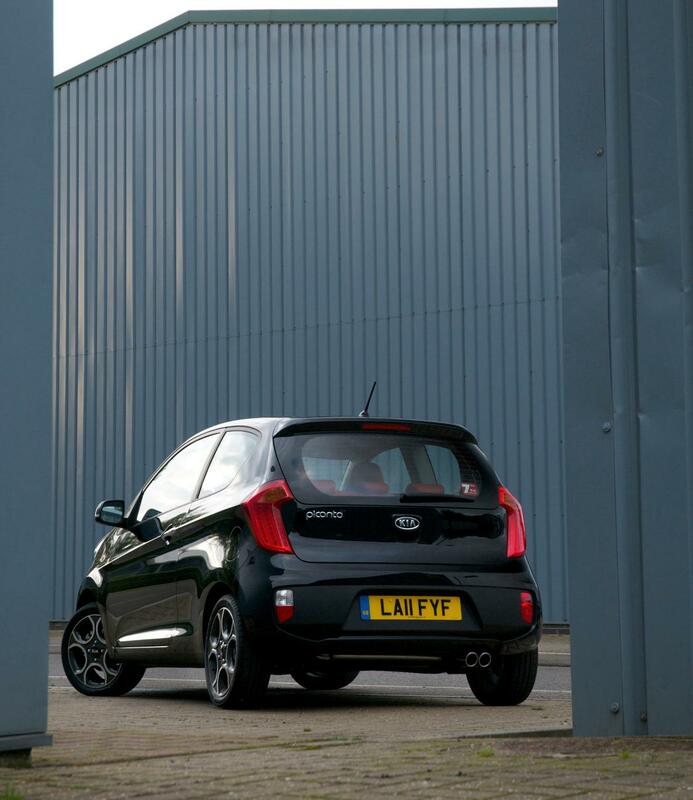 The 1 and 1 Air carry over from the five-door and offer buyers a great value specification whilst the Halo and Equinox are new to the range. 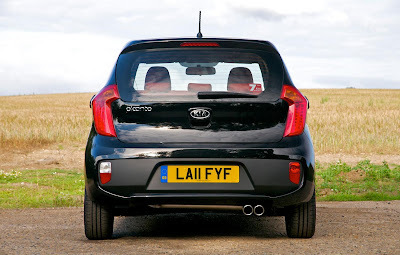 Halo and Equinox are similar in concept to the popular ‘Originals Collection’ versions of the Kia Soul, such as the Soul Echo, Burner and Searcher, and each offer a very high level of specification. 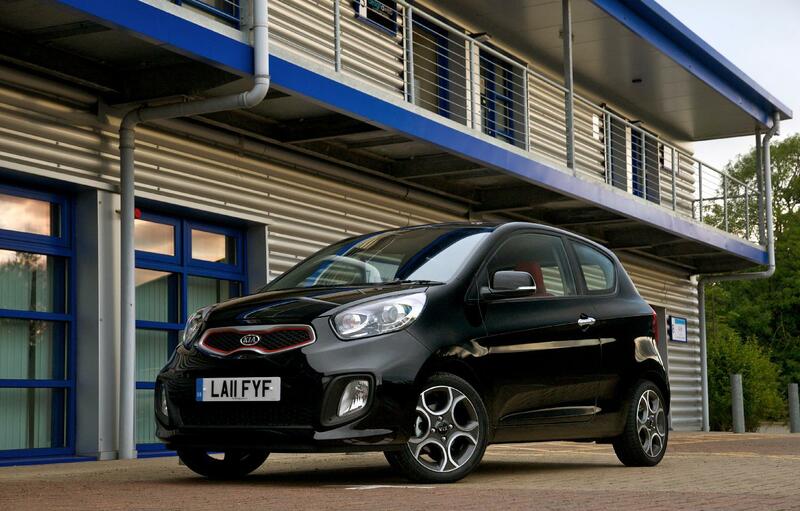 By offering both entry level and characterful, more luxurious specifications Picanto three-door appeals to a broad customer audience within the growing A-segment. Standard features on all versions include a trip computer, height-adjustable seat, a tilt-adjustable steering column and Motor Driven Power Steering. 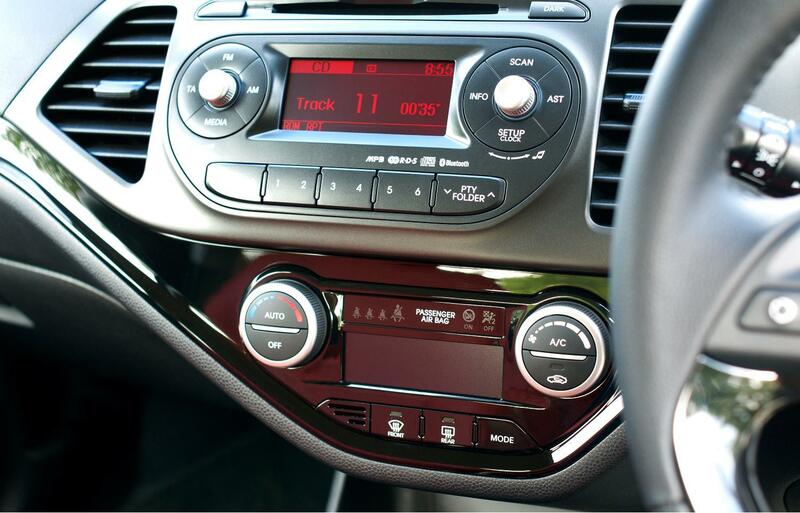 In-car entertainment is provided by a RDS radio and CD player with MP3 compatibility. 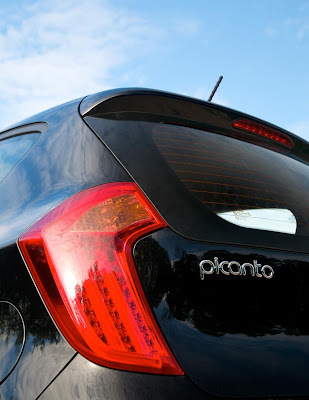 Picanto 1, 1 Air, and Halo have four speakers and Picanto Equinox has six. 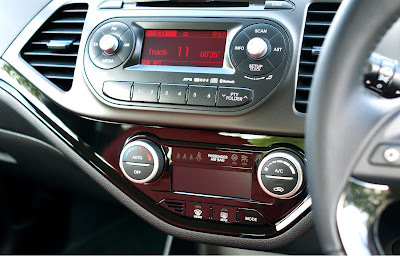 Picanto Halo and Picanto Equinox also have USB and AUX ports, an iPod cable and steering wheel-mounted audio controls. On the outside body-coloured mirrors and bumpers and twin chromed exhaust outlets are all standard. The Picanto 1 Air is for those customers who want air conditioning, and the fantastic value of the 1 specification, but without upgrading to the even more highly specified Halo or Equinox versions. Whilst the Halo and Equinox versions have differing equipment levels they share certain items such as Bluetooth connectivity with voice recognition, automatic lights, LED front daytime running lights and LED rear lights, body-coloured side sill mouldings and a red front grille surround. 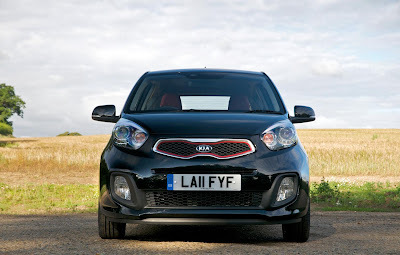 The Halo version adds to this with unique 14” alloys, heated front seats, heated steering wheel, reverse parking sensors, alloy pedals and a Supervision Cluster – Kia’s comprehensive electronic instrument binnacle. 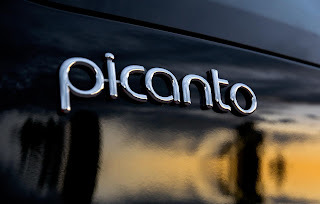 Inside the black and grey upholstery is complemented with a high gloss white centre fascia and steering wheel arm, on the outside the Halo is finished in Lunar Glow metallic paint. 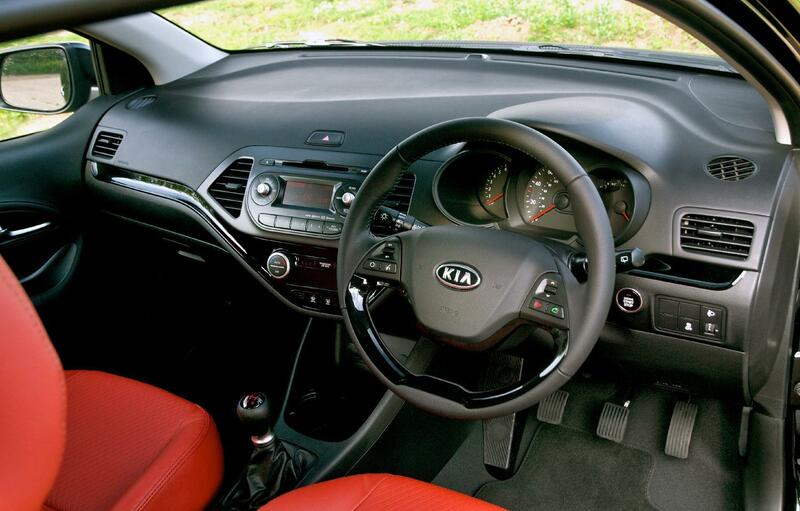 The Equinox spec changes the interior to premium red ‘Chilli’ upholstery with a contrasting high gloss black fascia and gearknob. 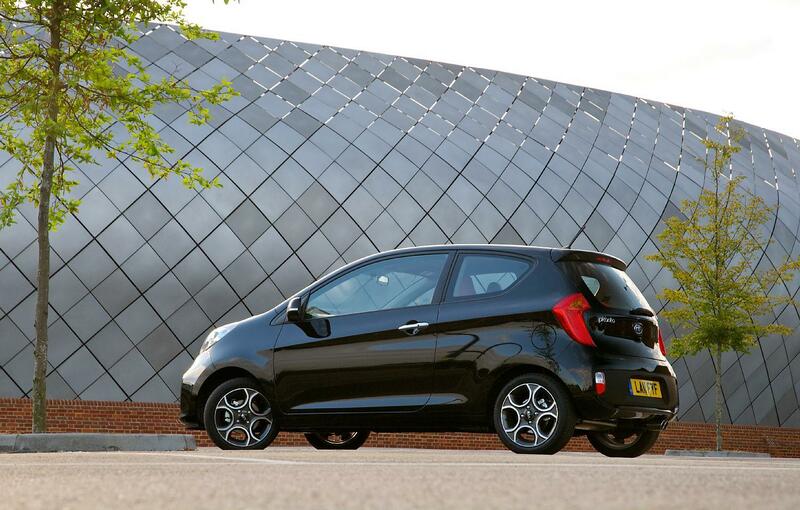 Distinctive 15” telephone-dial style alloy wheels lend a more sporting look to the exterior which is finished in Galaxy Black metallic paint. 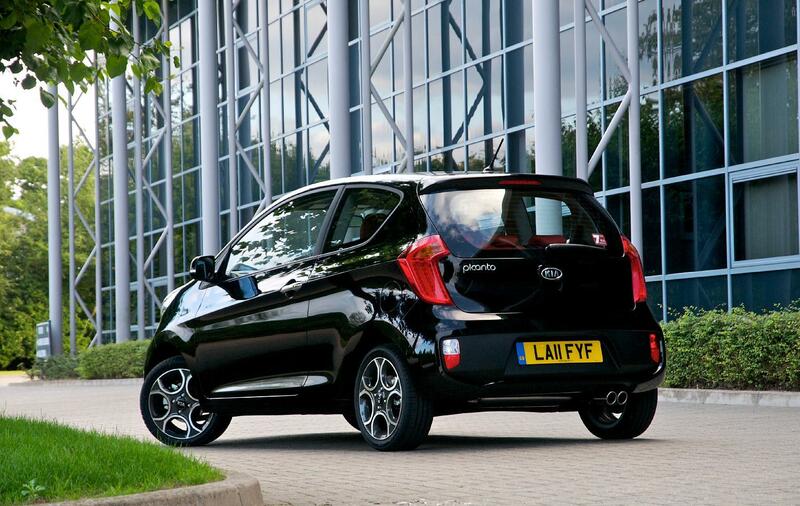 Automatic air conditioning and a smart key with a start/stop button are on top of the shared level of specification. 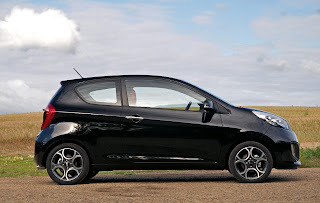 All versions have electronic stability control (ESC), anti-lock brakes (ABS), electronic brake-force distribution (EBD) to apportion stopping effort to the wheels with most traction, and emergency brake assist system (BAS), ensuring maximum stopping power regardless of the pressure applied to the pedal by the driver. 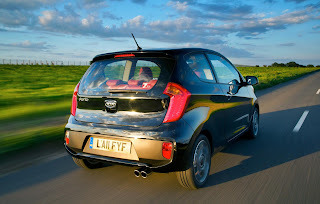 Should the worst happen every Picanto has front, side and curtain airbags to cushion heads and torsos against impacts from any angle. Front seat-belt pre-tensioners and load limiters brace occupants against a crash impact while reducing the risk of chest injury. 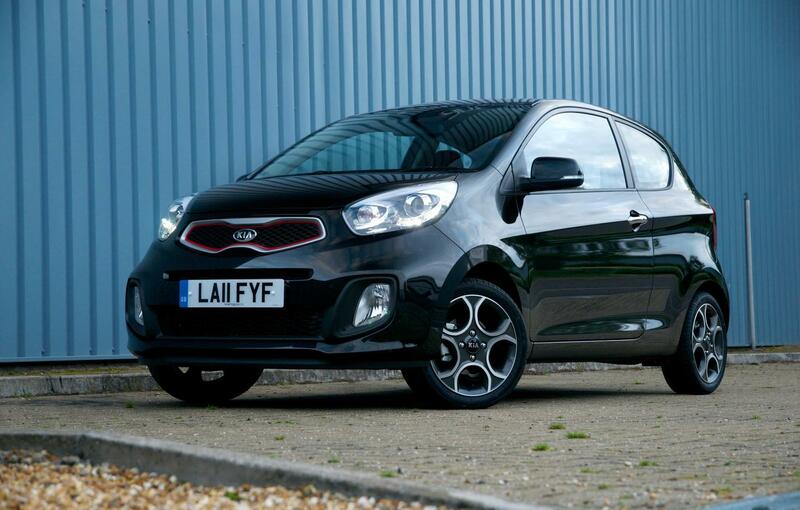 Picanto, in line with every other Kia, comes with the best warranty in the business – seven years or 100,000 miles on all non-wear and tear parts, including labour, subject to terms and conditions. The warranty is fully transferable to the next owner if the car is sold before the time or mileage limit expires.